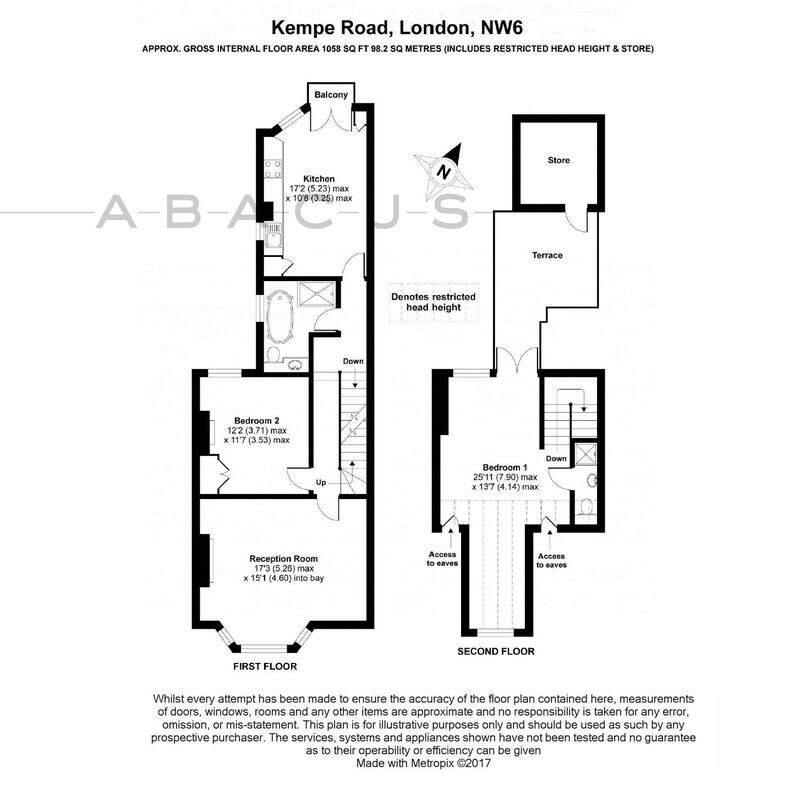 A smart 2 bedroom/2 bathroom duplex apartment of 1058 SQFT. Set on the first & top floors of this semi-detached period property and benefitting from a Roof Terrace, some period features and Share of Freehold. Kempe Road is a quiet tree-lined road nestling between the busy Chamberlayne Road and the tranquil beauty of Queens Park. Nearest transport facilities include Queens Park & Kensal Green (Bakerloo Line) and Kensal Rise (London Overground) stations and plenty of buses running in and out of town.